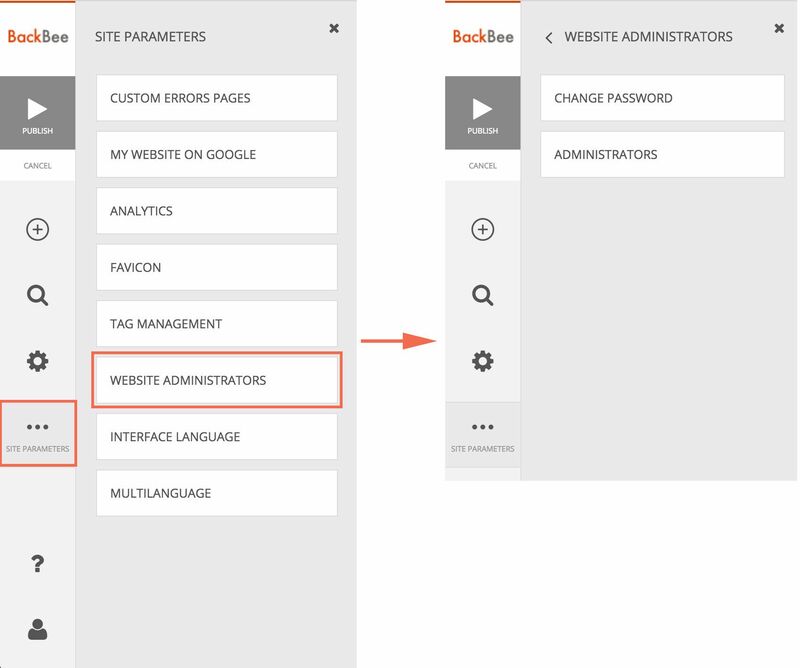 In the tab that opens, select "Website Administrators"
In the new tab, choose "Administrators"
Existing users of the site are displayed as tabs. By clicking on one of them, the user's first name and email address are displayed. 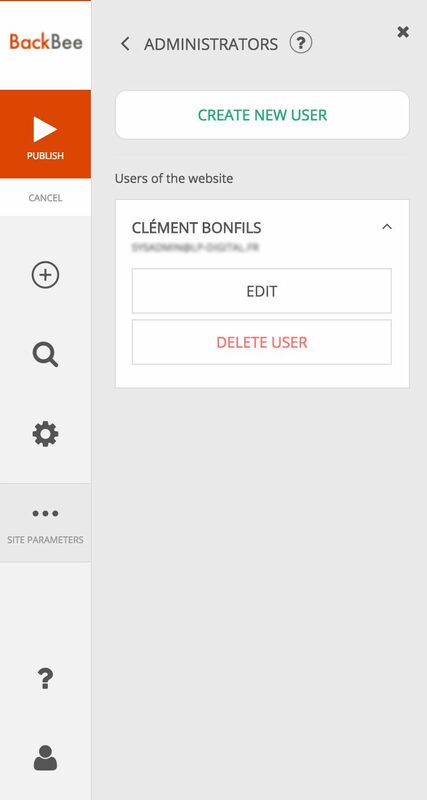 You can delete the user by clicking "Delete User"